Experience nature up close with Ladybug Land from Insect Lore. This enthralling educational kit gives kids the opportunity to observe lady bugs through every stage of their life cycle. Children ages four and up can watch real ladybug larvae while they eat and grow into pupae and metamorphose into Pink Spotted Ladybugs. 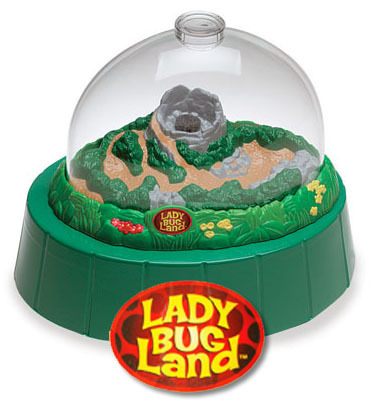 Children will love viewing the ladybugs in their included observation habitat, which has a built-in magnifying lens.